The Aegea sedan, shown, will be joined in production by hatchback and wagon variants. 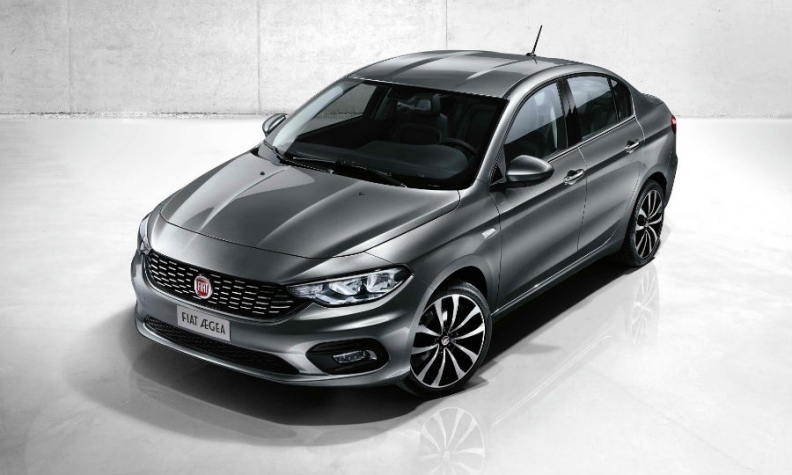 Fiat will roll out the Aegea in its Europe, Middle East and Africa region starting in November as a replacement for the Bravo hatchback and Linea sedan. The Aegea will take most of its cues from the Panda minicar in that “it will not be overloaded with frills that the customer will not want to pay for,” Francois said. “The Aegea will continue along with the functional side of Fiat represented by the Panda,” he told the 2015 Automotive News Europe Congress in Birmingham, England, last week. Fiat unveiled the Aegea sedan concept at the Istanbul auto show on May 21. The production version will have sedan, hatchback and station wagon variants. The Aegea name will not be used for the production car. Francois said the name will be released at a later date. All three variants will be built at Fiat's joint venture Tofas plant in Bursa, northwest Turkey. Francois said it was too soon to talk about how Fiat will market the Aegea, which will compete in Europe's second-largest segment after subcompacts. The compact segment's top-seller in Europe is the Volkswagen Golf. Fiat Chrysler Automobiles CEO Sergio Marchionne has reduced the Fiat lineup in Europe to focus on the functional, no-frills Panda line and the more emotional, design-oriented 500 range. The Aegea fits into the Panda's functional market positioning, Francois said. He declined to talk about pricing, production and sales targets. Last November, Tofas, said it will build a combined 700,000 units of the compact range over the life cycle of the vehicles until 2023, mainly for export. IHS Automotive predicts that production of the three body styles will peak at 124,000 during 2018. The production Aegea will be offered with two gasoline and two diesel engines. The most fuel efficient diesel will have fuel economy of less than 4 liters of fuel per 100km, comparable to the Panda, Fiat said in a press release at the Istanbul show.